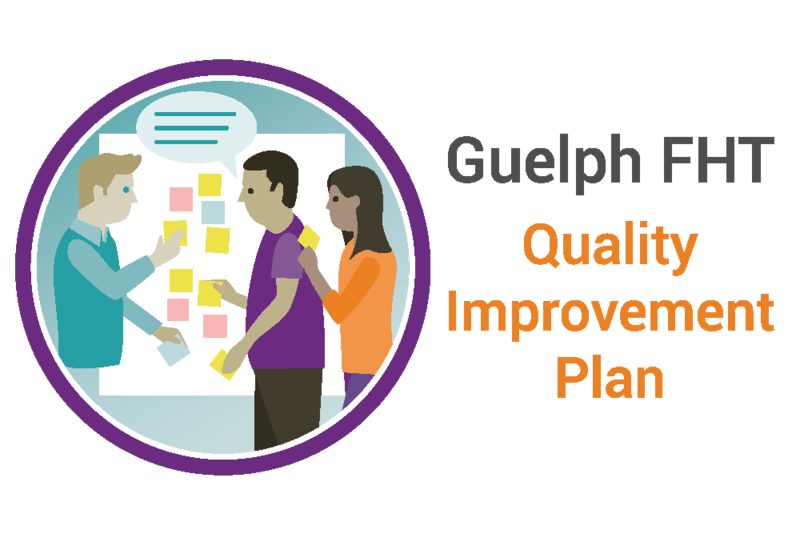 Every year, we get the opportunity to develop an improvement plan that continues our work of providing quality care to all people in Guelph. This year, our plan focuses on what matters to you and your family. We are aiming to provide every Guelph resident with the right care at the right place and time. We continue to work with our clinics and Guelph General Hospital to make sure that you have a connection back to your family doctor’s office within 7 days after leaving the hospital. Our Chronic Pain Management Program continues to expand and work with our community partners to make sure you are aware of all the resources available to help manage your pain. CLICK HERE for program info. With an advanced care plan, our team is able to offer support much earlier for people with life threatening, progressive illnesses. This early planning allows people to get the right care and team in place. Engaging patients to improve care is a priority for us and with the Be Heard patient experience survey and Patient & Family Advisory Committee, we will continue to listen to you. To be involved, take our survey HERE! We think that all Guelph residents should know when and where care is available specific to the time and day of the week and what issue needs attention. We continue to support technology like online booking, e -consults, virtual visits and email communication, all aiming to provide you and your family with timely access to your care team.